Basically, the recurve bow is one of the most recognized bows in the modern competitive archery. It can be identified by its curved tips at the ends, which are helpful for smooth releasing and increasing the speed of the bow. The recurve bow is the only style of bow allowed in the Olympics, and it can be used in field archery, 3D archery, and bowhunting. I mainly use mine for hunting. 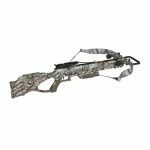 Even though it is known that the recurve bow is one solid piece, its style has evolved and today there are available “takedown” recurve bows. The “takedown” is designed to break down into three parts, suitable for easy transport and adaptability. Riser – is the “heart” of the recurve bow. Essentially, this part is the central component of every modern bow. The riser is placed between the limbs and it’s the backbone of the bow where other components are attached to. Usually, it is constructed out of aluminum, but it is also likely to be used carbon fiber. In the past, the riser was made from wood, but it was replaced with aluminum and carbon fiber since the wood has humidity issues. Riser Grip – or handle is the part designed for holding the bow while shooting. Archers should feel comfortable on the grip to increase the shooting performance and score better results. The riser grips are replaceable with after-market grips, and you shouldn’t buy one without testing it first. Limbs – these are the most critical parts of the bow made of wood, fiberglass or carbon fiber. The limbs are attached to the both ends of the riser and their movement is crucial for the precision of the bow. Their job is to store and release the kinetic energy to launch the arrow towards the target. Any twisting can significantly change its direction and you will score poorly on the 10-ring. Mainly, the pounds of pressure that are generated by the limbs’ stiffness is usually at the draw length of 24 inches. When it comes to attaching them, there are different manufactured ways to do it. But the most common way is the International Limb Fittings (ILF). By using ILF, you can attach limbs on risers from different manufacturers, which is uncommon for other attaching way. Sight – a device that you should attach on the riser to help you make more consistent shots. The adjustable pin will make a huge difference when you launch a dozen arrows in a row. Stabilizer System – designed to provide balanced, smooth feeling of the bow during and after the shot. This system is helpful for absorbing the vibrations on the bow, and reducing the unneeded noise created by the release of the arrow. It consists long rod, short rods, an extension rod, weights and a v-bar. Also, you can add a dampener to the end of each rod to decrease the level of vibration on the bow. Beware, don’t put too many stabilizers because it will affect your control over the bow when you make a shot. Even though they can improve accuracy, they won’t replace having an excellent technique. V-bar – is an attachable part of the stabilizer system that connects the side short rods with the main long rod. Clicker – a device that assists the archer in creating a dependable draw length, but also to ensure that the arrow and limbs will generate the same force repeatedly. The clicker is a strip or spring steel that is attached to the riser and it’s making an audible “click” noise, which notifies the archer to release the arrow after reaching the desired draw length. Plunger – a pressure button that is designed to adjust the horizontal oscillation upon release of the arrow and improve its precision towards the center location. Arrows Rest – resting place for the arrows while the archer draws the string back. This device is made of metal or plastic and it is attached to the riser. Bowstring Serving – a cord wrapped around the strands to produce an area to attach the arrow by using the arrow nock. Nock – is a two-pronged end of an arrow made of plastic to enable the arrow to be attached to the bowstring. It can be attached to the arrow with a nock pin, or inserted into its end. Each part is crucially important when assembling the recurve bow. Choosing the right parts such as stabilizer system, riser and limbs will determine the power and accuracy of your bow. Mainly, this type of bow doesn’t have to be featured with expensive parts because they aren’t complex mechanisms. 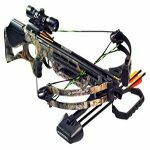 It is suitable for beginners that are interested in archery and sports hunting. The recurve bow is essentially used in Olympic shooting competitions, but it’s also effective in hunting small prey, even though it can take down larger animals too. You can read more about recurve bow parts here. The first thing to consider is to have a bow stringer. It is a very cheap tool that is proven useful in stringing a recurve bow. It ensures that the limbs are not damaged during the process of stringing. There are bow stringers that are specifically designed for recurve bows. You should also take into consideration your bow’s draw weight and length. Make sure that the stringer’s ends fit correctly to the limb tips of your bow. The most common type of bow stringer is the “double pocket” design but the “pocket and saddle” stringer is also highly recommended. The next step is to put the string on the bow tips. The upper limb of the bow is the place for the large loop of the string. It is important that the loop of the string is on the correct side of your bow. This means that the smaller loop belongs to the lower limb. During this step, the bow is at a relaxed position and you will notice some slack or not much tension on the string. The lower limb is the handle’s heavier side where the draw weight is usually placed. You may now put the stringer pocket on the tip of the lower limb. In case that your stringer has more than one pocket, the large one should be the one fitting the lower limb. These pockets will secure the string loop in the groove. In cases it doesn’t seem so secure; rubber bands around the loop will do the trick. The saddle or the small pocket goes to the upper limb of your bow. Some saddle designs can be placed securely against the bow but some designs require you to hold them in place. The rough surface of the saddle should be placed against the bow’s limb. In this way, friction can be reduced. Using your left hand, hold the bow grip horizontally. Your right hand should be in the upper limb, holding the loops in place. Position your bow so that the stringer and the bow string are underneath while the limbs are pointing upward. The next thing to do is bend your waist low enough so that the bow stringer touches the floor. After this, step on the bow stringer using both of your feet. Bear in mind to secure the stringer using the balls of your feet to avoid it from slipping. One foot can do the job but more stability can be attained by using both of your feet. This is recommended for shorter adults and children. Draw your bow upward. Ensure that you have a firm grip on the bow stringer. This step will cause the limbs of the bow to bend towards the ground. During this process, slide the string loop towards the tip of the bow until it connects to the notch. To confirm that the string is secure, gently run your fingers on the string loop. For the rest of the process, support the string loop with your fingers in case it slips off. Slowly lower the bow with the stringer facing the ground. This process should not be done hastily because this is the part where accidents happen. If this is done incorrectly, a string could get loose and eventually slingshot the bow’s limbs to your face. If the bow string feels secure, turn the bow around so that the limbs are facing away from you. It is wise to make another check on the string loops. If one of the loops is not secure, repeat the previous steps using the stringer. Remember to do the stringing process without anyone near you to avoid accidents. The final step on stringing a recurve bow is to remove the stringer. It was mentioned earlier to use rubber bands in case that they are needed to secure the pockets or groove; remove these rubber bands as well. Your bow is now ready to use with a little tuning so that you can achieve the best results and performance. In the process of unstringing your recurve bow, just repeat the steps on how you used the bow stringer during the stringing procedure. You should step on the bow stringer and slowly lift the bow upward. The upper loop of the string should be removed from the notch going to the limb of the bow. After that, slowly put the bow into its relaxed position. And there you have it! Now that you know how to string a recurve bow, always do it safely and never, EVER, be careless. Ever thought of becoming Katniss Everdeen yourself? Shooting arrows at enemies or hunting in the wild? Well, way before our “mockingjay” got into the screen, bows and arrows have already been quite popular. Although they are more known as the weapons used in the sport Archery, they could also be used for hunters and for hobbyists, like me. However, there is no one bow for everything; which is why we have different types: the recurve, the compound and the crossbow. Like any other sport, Archery requires you to find the perfect stance before firing an arrow. This perfect stance is a position where you are most comfortable shooting and at the same time, it delivers a great result. Position yourself a few meters away from your target. If you are right handed, I suggest that you place your left foot forward and right foot at the back, but make sure that they are shoulder-width apart. This way, you can maintain a balanced position before shooting. Now, face the target by moving only your head, but do not forget to maintain your stance. Relax your shoulders, look directly at the target, and be confident! Your posture could affect your confidence and can also affect your performance. Now that you are in a balanced stance, it is time to prepare for the shot. With your left hand (if you are right handed), lift the bow as high as your shoulders and point it only at your target (We do not want to hurt others, right?). Your grip should be firm, but you have to hold it comfortably for you to fire an accurate shot. Slightly turn your thumb and index finger inward leaving the rest of your fingers resting at the bow. Your wrist should also be relaxed. Loading the bow with an arrow initiates the firing process! 1) Before lifting the bow, load it with an arrow with the arrowhead pointing away from you and the back of the arrow attached to the string. This way, we can prevent any injuries that may arise. This step is where most people would feel excited as they are closer to firing their arrow! It is not wrong to get excited, but make sure you are still relaxed to maintain your stance and posture. Once loaded, you can now lift your bow up to shoulder height. Ensure a firm but comfortable grip just like the previous step. The arm holding the bow should be extended and locked at the elbow. If your elbow is slightly bent, you will find the bow difficult to draw. Keeping your arm straight also allow you to be away from the string for a smooth release. Pull the bowstring towards you. Your hands should be as the same level as your jaw bone. Drawing is correctly done if your back muscles do the job for you. These muscles have a greater force compared to the muscles of your arms. By drawing, force is also exerted onto your body so you should make sure that your body is still at the correct stance. Look directly at your target and aim for that bulls-eye! Aim using your dominant eye by closing the opposing eyelid. Your dominant eye is much more reliable when taking aim. Once you have locked on to your target, release the string by letting it slide out from your fingers. A smooth and relaxed release will assure you an arrow fired straight to the target. As you release the arrow, stay motionless in position until the arrow hits your target. This way, any obstruction of the flight path or trajectory will be avoided. Also, an accurate aim would mean a bulls-eye! Just a note, these steps have worked for me and my recurve bow. These might not work for everyone, as no method could be effective for all. 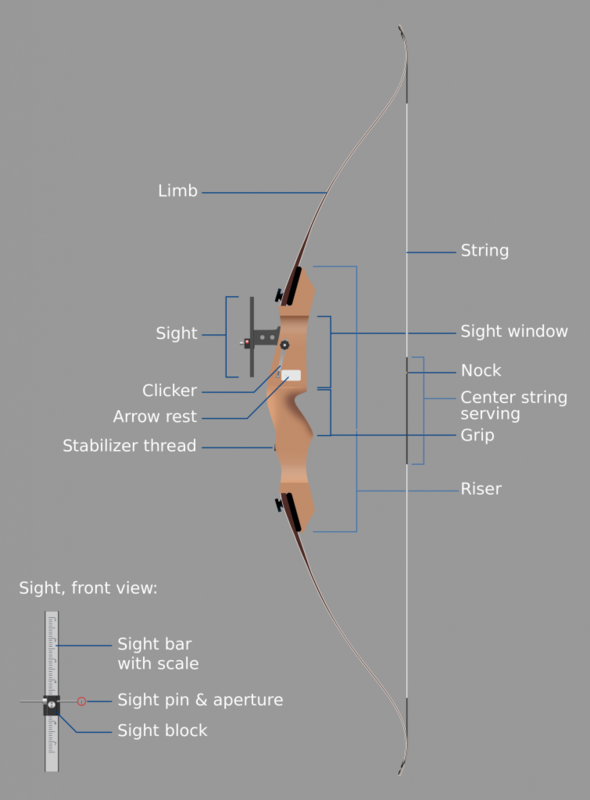 However, you could definitely use this as a guide to get the right stance and the right way to shoot your recurve bow. We might not be as skilled as the ones in movies portray, but we can definitely get close to that (except if it involved superpower and such, then there’s no chance!). You should not also forget that even if you know how to shoot a recurve bow, you would not get better if you do not practice. So, read, learn, practice, practice and practice! 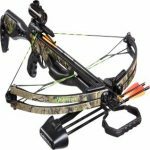 As someone who enjoys bow hunting and archery for a hobby, I must say that I have been impressed by many recurve bows on the market. It was fun choosing and using them, but nothing can be more fun than making my own recurve bow. Using my homemade recurve bow for my escapades was really fun and great, but making it is also as exciting as it gets. After I finished my first bow, I couldn’t wait to show everyone. Now, I can’t wait to share to you how..
You can either buy yourself a wooden stave measuring 6 feet long to save you all the trouble of making one; or make yourself one to save you all the money. Make sure your stave is completely dry before you use it to make your bow. It should also be malleable, strong and flexible. Good wood choices include osage orange, hickory, lemonwood and yew. Use a pen in marking the outline for the arrow rest and limbs of the bow using a pen.Using one hand, make the stave stand up, and use the other to swing the hatchet. Smooth out the sides well. Decide the specifics on your own! The flat, narrow and wide limbs, and the handle can be decided and marked out according to your comfort. Now, test the stave to make sure that it could bend.The tip at the bottom should be against your instep and the upper one is held by your hand. Pull back towards you ( face the away from you as if you are going to shoot). Be careful when you do this as doing it too much to avoid damaging your stave. Form your bow’s limbs. Remember the marks you made for them earlier? Start shaping them out. Next, place your intended handle section in the vice. Tighten it. The back should be facing upwards. Then, use a draw knife to draw long strokes along the stave. When you reach your desired thickness for your bow, sand down the rough edges. Note: Don’t make it too thin or it will break. Cut notches on the inside where the string would be placed, then put them into the top of your bow’s limbs as well as the bottom. These will keep the bowstring steady in its place. You can use a knife or a flat and narrow file, but it would be best if you use a long, cylindrical file. Remove very small amounts of wood from your stave’s sides. Before you start this, use a bow shaping frame to secure your bow in place. Bend the limbs as equal to each other as possible. To do this, the stave should be bent at equal distances from both ends of the bow’s handle. Once you got the shape you desired, place a tillering string twice as long of the actual bowstring to be placed on your bow. In each end, tie and attach the notches on the bow’s limbs. Tip: You can use parachute cords for as tillering string. Pull the string to the notch closer to the stick’s top. Then, slowly and carefully, pull the bow more Take note how your bow is bending. You should also be patient as this process could take a long time. When you hear the bow making a noise, stop pulling and shape your bow’s limbs a bit more. After doing so, you can measure its draw poundage to get your desired amount. This is usually between 50 to 70 lbs. Once you see that your bow has an acceptable draw, take it off the tillering stick and replace the tillering string with the bowstring. Loop the ends securely around the notches. When you’re done tillering, you can decorate your bow as much as you like as long as it doesn’t hinder the bow to fire at its full potential. It is also recommended that you apply a protective coating on it. And there you have it! Although it would really take time to get a perfect home-made recurve bow, the effort is all worth it. I personally made mistakes the first time I made this, but after assessing where I went wrong, I managed to make the next one as good as it can be. Do not expect that this could perform as well as the ones made professionally. However, you should not also underestimate how your own, personalized recurve bow could perform. You will be delighted with the results! As with any product, you may have noticed that there are those who proclaim themselves as the official ‘best brand’; the cream of the crop, the best of the best, the god among men – okay that was a little too much. But anyway, I’ll share with you some of the brands that I think are the best from my experience in using recurve bows. 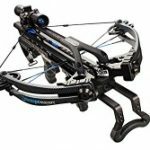 I may not have owned bows from each and every one of these brands, but so many opportunities have presented themselves which allowed me to relish the feeling of superior quality recurve bows. Some of you may even say that the only brands presented here are the ‘overpriced’ ones; as the saying goes “if you’re good at doing something, never do it for free” and thus the price. Great Plains Traditional Bow Co. This company has been around for about twenty five years now and that’s saying a lot. 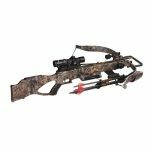 They offer recurve bows like SR Swift Take Down Recurve, SR Swift One Piece Recurve, B-Model Take Down Recurve, and other bows aside from the recurve. What makes this company stand out from the others is the amount of hands-on work they put into each carefully-crafted bow. Workers hand fit the limbs, buff the finished products by hand, test and shoot each bow individually before they ship them off. The thing I love most with bows made by Great Plains is the smoothness; the craftsmanship is a big bonus. They’re well-known and were even featured in a magazine bow test, which was considered unusual. So yes, the price may make you cry at first sight but if you really want a high class bow then save up! Hoyt Archery is a company by archers for archers. Making and selling bows since 1931, they produce top-of-the-line recurves which are divided into two categories: traditional recurves and target archery recurves. Their traditional recurves are available in camo or the natural finishes; these two styles best work for the traditional style hunters. Other than recurve bows, they also produce compounds and even accessories that go with the bows and arrows. Other than the obvious amazing quality of each and every bow, what I love about Hoyt Archery is that they also provide custom color accessories. Sure, accessories are also offered at other shops but the accessories at Hoyt Archery are also made of high quality materials. Their most popular recurve bows are The Buffalo and GameMaster II. What’s interesting about Predator Archery is that they don’t just produce and sell bows and accessories; they even provide lessons on archery! 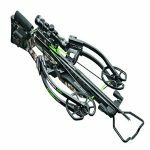 Initially, they just focused on replacement parts for bows, but now they have made it to the top lists of high quality bow makers. Out of all their bows, the most famous is the high quality take-down recurve bows. I once purchased a bow from Predator’s Archery and it came with five free lessons. Not only that, but the staff are friendly and the customer service is beyond compare. Since I lived a few hours from their shop they said that I can book my appointment online. Imagine all the hassle I would have otherwise needed to go through if I went there and all the staff were busy. So yeah, quality bows alongside quality service. Another veteran bow manufacturing company is Bear Archery; they have been around for a solid eighty years. Sure they maybe a bit pricey, but you pay for the quality – and their quality is worth every penny. 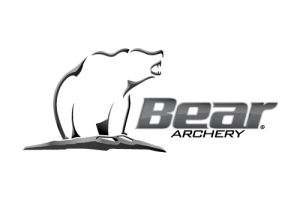 The jewel in their crown is the Bear Grizzly, the best recurve bows that money can buy. The Bear Grizzly literally does last a lifetime; you can even pass it on to your great-grandchild’s grandchildren and the quality will be the same as the day it was made. The Bear Grizzly recurve bow is so accurate and smooth that the limbs never twist. You won’t ever need those stabilizers or any accessory for that matter; almost no hand shock and with only minimal vibrations. Beginners even say that the bow was comfortable and stable; that’s a big thing since their hands are not as used to bow handling as the experts. This brand makes some good hunting bows. From a family comprised of passionate archers, the Martin Family introduced a new innovative brand of bow into the world of archery. Now, they make some of the top reasonably-priced bows in the world. Their flagship bows are the Martin Jaguar and Martin Saber, which can be handled by any archer no matter their level of experience. Both of the flagship bows are great for hunting, especially for those who are new to the game. Accurate, strong and smooth and all for reasonable prices; those are what keep the customers loyal. Not to mention that one of the co-founders, Gail Martin, can be found among the Hall of Fame of Archery. In short, they really know their equipment! To see a full in-depth reviews of some of the best recurve bows on the market click here.